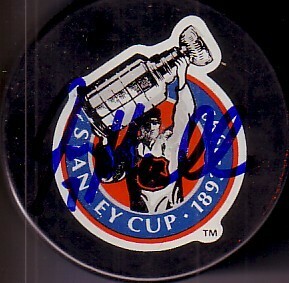 Stanley Cup 100th Anniversary commemorative puck autographed by Hockey Hall of Famer Joe Mullen. With certificate of authenticity from AutographsForSale.com. ONLY ONE AVAILABLE FOR SALE.